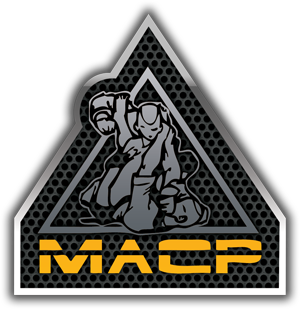 For more information on MACP – Combative History, click here. Since the beginning of the All ARMY tournament in 2004, Greg has helped coach the USAJFKSWCS team. The team has won 2 out of four tournaments and always places well. In 1995, when the Commander of the 2nd Ranger Battalion ordered us to reinvigorate the martial arts training within the battalion, we quickly uncovered serious problems within the Army’s existing Combatives program. There was the general feeling among the Rangers that the techniques would not work and that it was a waste of valuable training time. In general, the Rangers would rather have been shooting, road marching or anything else that they felt could actually benefit them. During that time, the Army had a Combatives manual, FM 21-150 (1992), but had no program to produce qualified instructors and lacked a study system for implementing the training within units. All they had was a vague approach that left it to the local commander’s discretion. Most soldiers laughed at the Combatives techniques they were taught in basic training. Due to this indifference, the unit instructor became whatever martial arts hobbyist happened to be in that unit, and the training narrowed down to whatever civilian martial arts those people had studied during their time off duty. In most units, there was no training at all. This was the case in the Ranger Regiment-unless the small unit leader happened to practice martial arts, there was almost no Combative training. When we began to look for a better method, the instructors within the battalion practiced a variety of traditional martial arts: karate, Jiu-Jitsu, ninjitsu, boxing, wrestling etc. Perhaps because we had representatives from so many different martial arts, and because all of us had experienced the failure of trying to teach our particular martial art to our units, there was a general understanding that none of us had the answer. J.Robinson, the head coach of the University of Minnesota wrestling program, himself a Vietnam era Ranger who had coached our battalion operations office at the University of Iowa, came out to evaluate the emerging program and gave some valuable advice. He recognized that a successful program must have a competitive aspect in order to motivate soldiers to train and that it must include “live” sparring in order to be useful in cultivating a Combative culture. We began to develop a program based around wrestling, boxing and the various other martial arts we had learned, such as Judo and Muay Thai. Eventually, after looking at many different styles, we sent several men to train at the Gracie Jiu-Jitsu Academy in Torrance, California. The Jiu-Jitsu taught at the Gracie Academy fitted many of the battalion needs. It was easy to learn, had a competitive form, and was proven effective within the arena or Mixed Martial Arts fighting. It did however have some problems. Gracie Jiu-Jitsu was principally designed for the venue that had made it famous, one-on-one arena fighting. Also, sportive Jiu-Jitsu had great potential to change the art into something not oriented toward fighting at all. Rorion and Royce Gracie made three trips to the battalion over the next couple of years, and I also went to Torrance with a couple of others to study. During this time within the battalion, we developed the drill based training program that has become an essential element in the Modern Army Combatives (MAC) program. The basic idea is that since commanders have many competing priorities when it comes to training their units, any Combatives program that competes for training time with, for example, shooting, is doomed to failure. A successful Combatives program must mold around the other elements of the unit’s training program. By developing a system based on drills, with each drill designed to engrain the foundational concepts of the system, small until leaders can train Combatives in addition to their previously structured physical training program without displacing other important elements, such as running and other forms of PT. With this approach, Combatives can become an integral part of every soldier’s normal day. As the system matured, we began to realize what made Brazilian Jiu-Jitsu techniques work; namely, that you could practice them at full speed against a completely resistant opponent. This method can mold itself to any situation-techniques that do not work are quickly abandoned for those that do. We also began to draw from other martial arts that share aspects of this “live” training in order fill the tactical gaps of pure Gracie Jiu-Jitsu. The classic Gracie plan of taking them down and submitting them works well in the arena, but in the real world, the tactics must fit the situation; this basic “rice and beans” approach to taking the opponent down and finishing them on the ground wasn’t enough for our needs. As the program grew technically, its success catapulted it beyond the battalion. At first it moved to the rest of the Ranger Regiment, then throughout the infantry and eventually, with the publishing of the new Field Manual FM 3-25.150 (2001), it became doctrine throughout the Army. As we began the explore the various training methods of the other “feeder arts”, the ways they complemented each other and exposed each other’s weaknesses became clear. The concept of positional dominance from Jiu-Jitsu expanded to other ranges of combat and blended with techniques from wrestling, boxing, Muay Thai and Judo, to name just a few. We also incorporated expert weapons fighting, as taught by the Dog Brothers, with western martial arts and our own personal experience from years in the infantry and actual. By September 11th, 2001 we had finally developed a totally integrated system of Close Quarters Combat and laid a solid foundation from which to learn further lessons from the battlefields to come. By this time, we had already established what would become the U.S. Army Combatives School at Ft. Benning, Georgia. We had already determined the first two levels of Combatives Instructor qualification, which at that time was primarily based on Mixed Martial Arts competitions fused with the prevailing wisdom on Close Quarters Battle (CQB). When fighting started in Afghanistan, we began to conduct post active interview with soldiers who had experienced hand-to-hand combat. We created procedures and an interview format that drew out important lesson that might otherwise be missed in a simple narrative. Among some of the many questions that we asked: What equipment was the soldier wearing? What was the tactical situation? In the years since then, we have conducted hundreds of these interviews and adjusted the curriculum to the new lessons learned. For instance, every hand-to-hand fight we have documented has involved grappling, but not a single one has involved only striking (although, striking is always part of grappling). Also, around thirty percent of the fights end with gunshots. Fighting in an environment where everyone is armed means that the fight is most frequently over who controls the weapons. At the same time we have continued to examine other sources for techniques. From the Brazilian Jiu-Jitsu world, Royce Gracie has remained a valuable source for some units. Romero “Jacare” Cavalcante has been an invaluable resource for the cadre at the Combatives School. Marcelo Alonso, Relson Gracie and Rigan Machado have each contributed, as have many others too numerous to name here. We have tapped into other resources as well. Wrestling and Judo expertise from various sources, Muay Thai from Manu Ntoh, David Rogers and Greg Nelson, weapons fighting from Marc Denny of the Dog Brothers and western martial artists such as John Clemens. Local experts at posts throughout the Army have helped this program along immensely. Those who have been acute enough to know where innovation is needed and open minded enough to understand that the Army’s training program, due to its unique needs, must differ from the training regimen at civilian schools, have contributed immensely. Greg Thompson, in particular, has been one of the principle people involved in that capacity. Greg has been the principle teacher of the MAC program at Ft. Bragg for the last several years. With the 82nd Airborne Division and the home of the Special Forces there, Ft. Bragg has been a hotbed for lessons learned directly from the battlefields. Greg, who literally has thousands of students making numerous trips to and from the war zones, has been at the forefront of capturing these lessons and developing training strategies and techniques from them. In order to improve the hand-to-hand fighting ability of every soldier in a unit, it is necessary to systematically develop skills movement patterns and a strong understanding of fight strategy. The basic techniques described in this book are a blueprint for doing just that. This is the method we use in our first two instructor training courses. Beyond the basic techniques, which must be proscriptive by the nature of the challenge of teaching over a million students, the training must become conceptual, more how to train the technique specific. These techniques should be taken as examples of the type of strategies that work and should point you in the right direction. The nature of today’s military conflicts – the equipment we may be wearing, the missions we find ourselves tasked with – are unique to the battlefield and are constantly changing. To meet these demands, effective Combatives training must be an ever- evolving process. This book will point you in the right direction to begin that process. Matt Larson is widely considered to be the father of Modern Army Combatives. Modern Army Combatives Program (1) from army Combatives Manual) “The defining characteristic of a Warrior is the willingness to close with the enemy.” Realistic Effectiveness in the battlefield: Army Combatives were developed with practical and effective applications in mind. Using the feedback from post action interviews of soldiers from successes in Afghanistan to Kosovo, adjustments have been made to the curriculum to best represent the latest and most efficient way to fight.